BlackBerry Media Sync 2.0 Updated | BlackBerry Blast! BlackBerry Media Sync has been updated and version 2.0 now supports Windows Media Player. BlackBerry Media Sync does exactly what its name suggests. 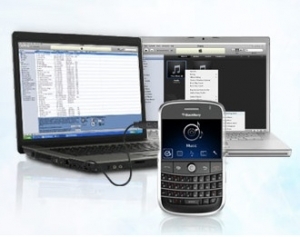 It allows you to sync your desktop's iTunes or Windows Media Player music with your BlackBerry so you can take your tunes with you on the go.